Dallas Cowboys star wide receiver and wearer of some of the hottest Air Jordan retro cleats on the football field now has another impressive pair to add to the list. 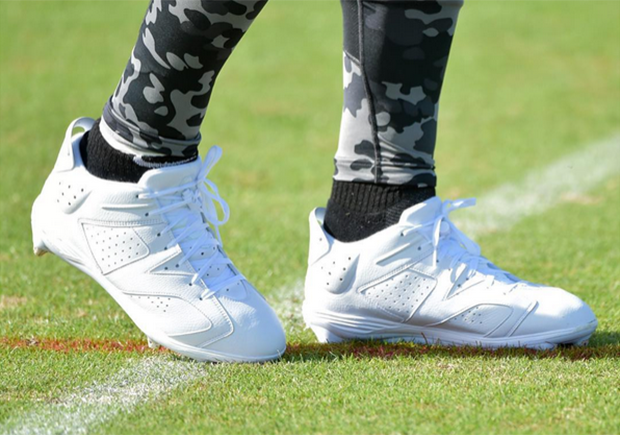 Just spotted at practice this week was a crispy all-white edition of the Air Jordan 6 Low on Dez’s feet. Will he rock these in an upcoming game, or is his Jordan cleat collection so deep that he even gets colorways just for practice? Keep you eyes on the field during the next Cowboys game, because whether it’s these all-white 6’s or something else, you’re guaranteed to see some kind of heat on his feet.